Whilst challenger banks haven’t been as big a hit in the US as they have in the UK and across Europe, they are certainly making themselves known. What’s more interesting is that the successful challenger banks from Europe have started making the leap over the pond in search of fresh business in the “Land of Opportunity”. Funding for challenger banks went from $2 million in 2013, to a staggering $453 million in 2016, and according to the US federal reserve, digital banking users have increased from 26% to 51% between 2012 and 2017. So is it any surprise companies are trying to make their FinTech start-ups work? British challenger bank Revolut, and German start-up N26 are among those to enter the regulation-heavy US. 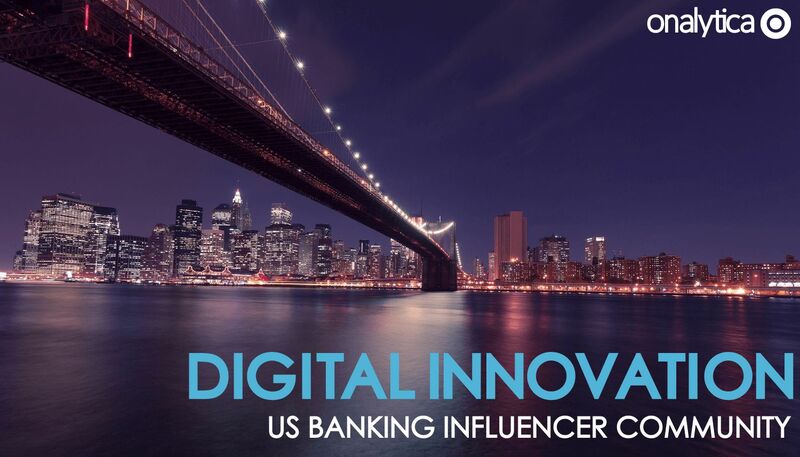 We’ve had a look at 14 retail and challenger banks from the US (JP Morgan Chase, Citi Bank, TD Bank, Bank of America, BNY Mellon, Wells Fargo, Capital One, N26, Moven, SoFi, Varo, Revolut, Stash, Marcus) and compared their Share of Voice, Brand Attention, and interaction with influencers. We’ve also listed the top 30 US influencers for FinTech, Blockchain and Innovation ranked by their Topical Authority. What Does the Report Go Through? To increase awareness brands need to increase their online visibility. Getting involved in online conversations and debates surrounding topics of interest can assist in this. It is imperative to show your audience that you know what you’re talking about, but more than that, you know what everyone else is talking about. It was surprising to learn that the retail and challenger banks we analysed for this report were involved in just 1% of the online FinTech debate. Commanding a large share of voice among your audience means a brand can dominate in one particular area, maybe more (as in Revolut’s case). Having no input when it comes to the current online conversations gives the impression that brands aren’t really concerned with the discussion, which can hinder their online presence and credibility. We’ve selected the top 30 influencers across FinTech, Blockchain and Innovation based in the US and Europe, ranked by their Topical Authority. 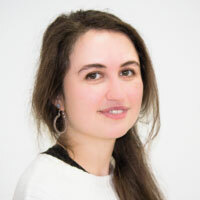 Instead of just looking at how much an influencer mentions a subject, topical authority is calculated by analysing the level of interaction they get from other influencers on that particular topic. This provides a more authentic measure of influence as it shows how much an influencer is driving the conversation within the influencer community. Eight key topics (Digital Banking, Cyber Security, Innovation, FinTech, Bitcoin, Customer Experience, Blockchain, AI) were analysed, looking at how often they were mentioned in relation to retail and challenger banks. As expected the brand association had significant differences compared to the UK retail and challenger banks due to the incumbent banks still being far more popular than challenger banks in the US. Having the ability to see who you’ve got at your fingertips is a pretty nifty tool. Brands can see who they’re connected with, how strong those connections are, and how many times they’ve been in contact with certain influencers/other brands. 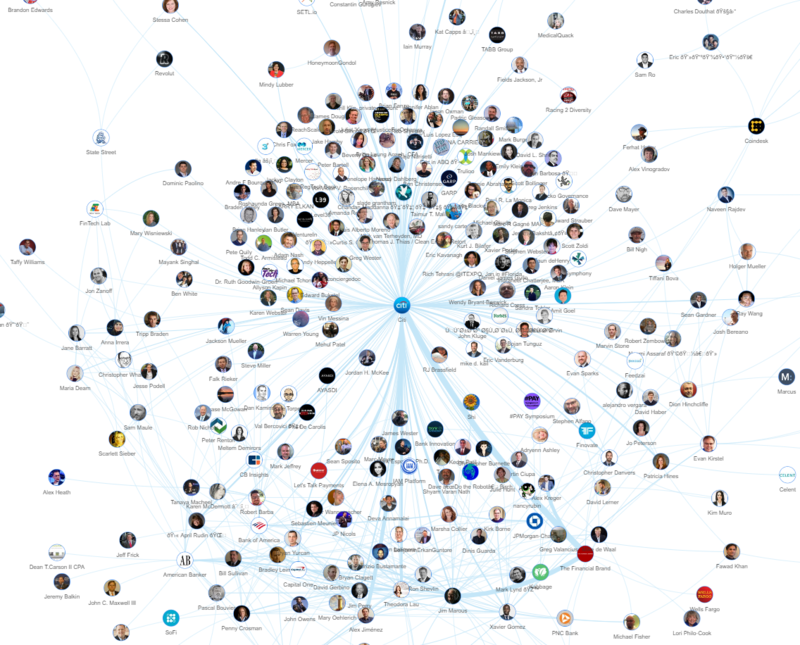 So using our software platform (IRM) we created a visual representation of the influencer community, showing interactions and strength of connections between the key influencers. Why Does the Industry Need This Market Research? Advancing technology is causing greater disparity between brands and so they need to advance to stay competitive. The popularity of challenger banks in the US is likely to grow as they expand from other areas. Consumer requirements are changing. Brands must stay on top of this to understand how they can gain and retain their attention. Fancy getting the full report for yourself? Great! Fill in the form below and we’ll send it your way.